You guys. 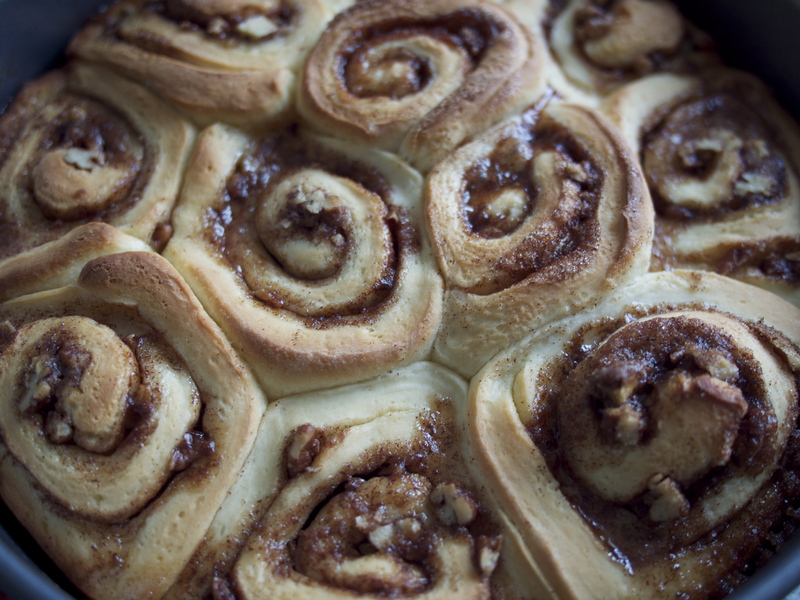 You’re going to thank me for telling you about these cinnamon rolls. 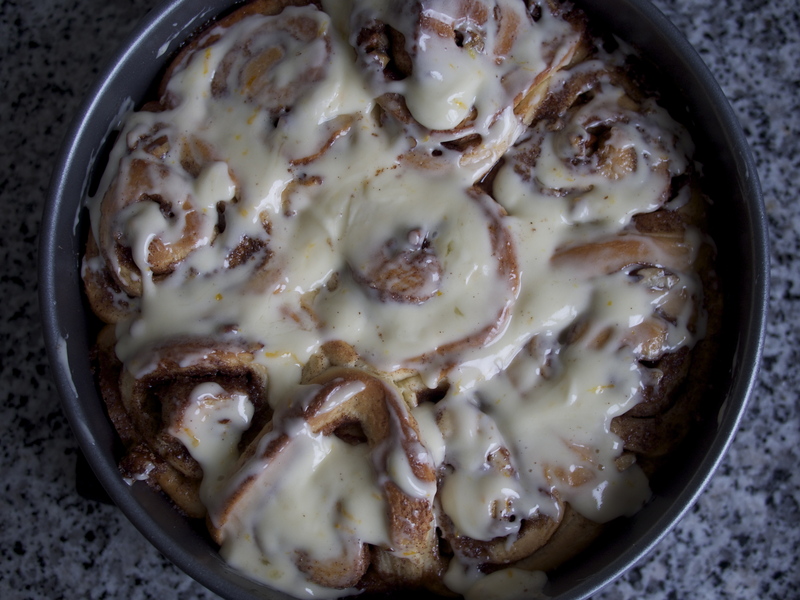 I didn’t think I really liked cinnamon rolls that much (I know, who am I kidding? ), but then I made these. The BF and I hosted brunch in our new apartment in Vancouver this weekend. We finally moved into a place of our own and got all our things back, including a new table that we wanted to break in with a bunch of friends. What better way than having a bunch of friends over for brunch on a lazy Sunday? Problem is: I’m still getting used to the oven and needed to find a recipe that most everyone would love. This was my first time making food for these friends, and the first time making a new recipe in this new kitchen. Oy! 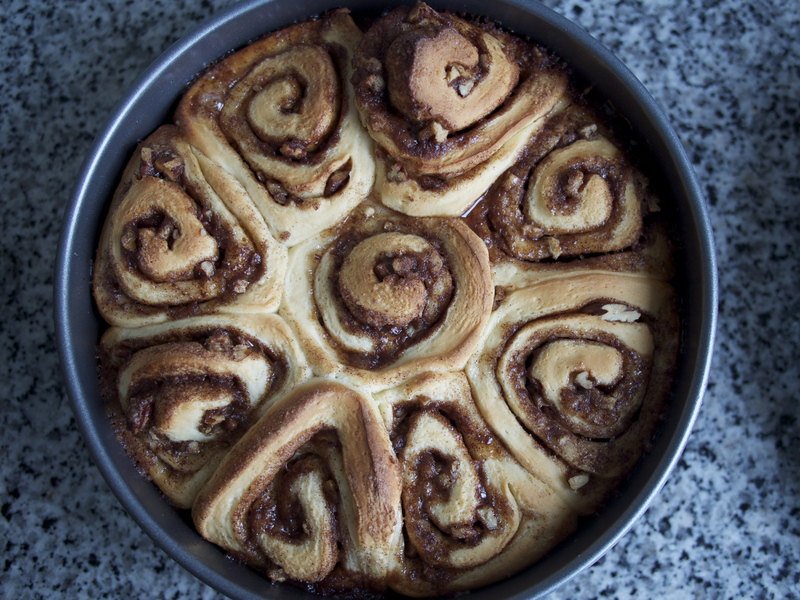 These Cinnamon rolls, fresh and gooey out of the oven, were the obvious choice. You can easily make a bunch to feed a crowd, and really aren’t that expensive. Combine the milk and butter in a microwave safe bowl, and warm until the butter melts and the mixture registers between 105 to 110. Pour into standing mixer, and add the yeast. Let the yeast warm for a few minutes, and then add the egg, flour, sugar and salt. Mix on medium with dough hook until it forms a dough ball. Cover with a kitchen towel, and place somewhere warm and draft-free. Proof until the dough doubles. Depending on the temperature in your kitchen, this may take anywhere between an hour or two. 3/4 cup brown or white sugar – I used white, original recipe calls for brown. Once the dough has doubled, roll out the dough on a floored surface. Shoot for a rectangular shape, as the original recipe calls for a 15x11inch rectangle. Once rolled out, spread the butter across the surface. Mix the sugar, cinnamon and pecans together. 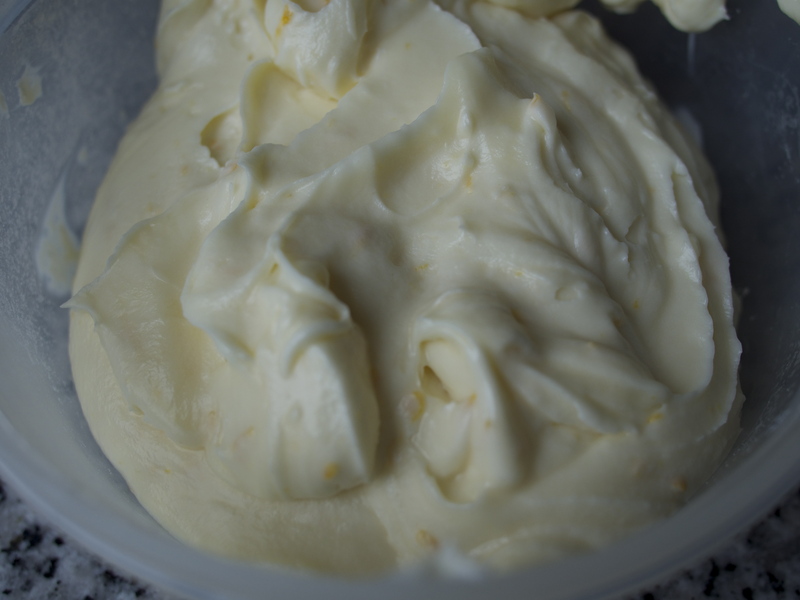 Pour and spread across the buttered dough. Roll the dough up into a roll, pinching down to keep it all together. Slice 1/2in pieces. Place pieces closely together in a pre-greased pan. Here you can use cake pans, pie pans, glass baking dishes – up to you and what shape you want. Cover and let proof once more for 45 minutes. Preheat your oven to 375. Bake on the center rack for 20 minutes. While baking, prepare the glaze. That? That right there is magic. Fatty, sugary magic. Combine all the ingredients and mix until smooth. Once the rolls come out of the oven, let cool for a few minutes and then apply the desired amount of glaze. I recommend keeping any extra for some late night snacks. Enjoy the heck out of these while still warm from the oven. *Note: I added pecans and orange to give it more of a personal touch. I recommend, as with a lot of the recipes on here, to play with whatever flavor profiles you enjoy. Other possible additions I can think of here: pumpkin, nutella, lemon, berry, almond – the list goes on!